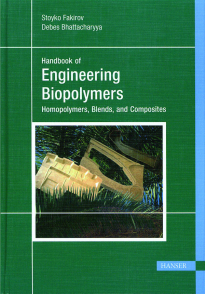 Author: Fakirov, S., Bhattacharyya, D.
This volume presents the results of numerous worldwide studies focusing on the implementation of natural polymers as engineering plastics and the use of their inherent properties. It discusses the processing and, more extensively, the applicati on of natural materials (cellulose and protein-based) as reinforcements for polymer composites. The structural, morphological, and thermal characteristics, as well as the mechanical behavior of the obtained materials are covered comprehensively. In addition, the book includes case studies and results of commercial relevance. All natural polymers used in the blending or reinforcement of synthetic polymers are discussed in an attempt to cover the isolation, pretreatment, blending, and manufacturing of the respective materials. 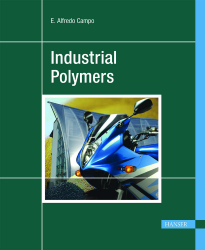 This book provides a comprehensive and very practical overview of the various plastic materials used in today's industrial applications. Its focus is on material properties and areas of application. All industrially significant plastic families and grades are introduced following the same approach: their chemical constitution, manufacturing, properties, processing, and end use applications. The consistent presentation allows easy comparison of different materials for the reader and will help with the initial identification of suitable plastic materials for a given end-use. Ample full-color illustrations are testimony to the fact that plastic materials are the ultimate tribute to man's creativity and inventiveness.